St. Patrick’s Day has come and gone, but we think we found our pot of gold. Or maybe we should say our Pot of Shade: Heliotropic from our friends at KYPRIS! This treasure is a broad spectrum sunscreen with SPF30 protection that also does double duty as a primer with moisturizing botanicals. Though it’s a pastel, robin’s egg, blue color, it’s absorbed quickly and feels light on your skin without any trace of a white film even though it contains 20% non nano, zinc oxide. The organic, wildcrafted botanicals, such as Sweet Iris Stem Cells, Tamanu, Chaparral, Sunflower, and Sea Algae, help to soften fine lines, fill wide pores, hydrate, and give you a nice glow. So much so that you might not even need foundation! Yippee! Sadly, it’s not water-resistant, so it’s best to use this on non-beach/swimming days. 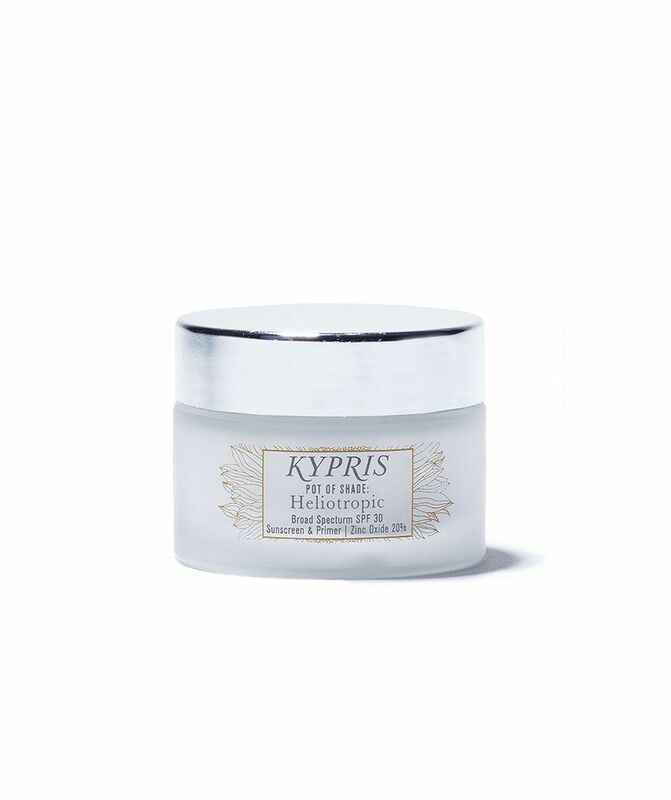 But on all other days, protect your skin with a treasure, the KYPRIS Pot of Shade: Heliotropic!